(3 Customer Reviews) | Write Review 13 issues per year BBC History Magazine is Britain’s bestselling history magazine devoted to history enthusiasts of all levels of knowledge and interest. 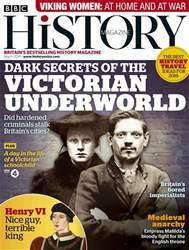 Published 13 times a year, BBC History Magazine brings history to life with informative, lively and entertaining features written by the world’s leading historians and journalists. Whether it is the history of our politics and institutions, or the fascinating stories of our private lives through the ages, BBC History Magazine sheds new light on the past and helps make more sense of today’s world. Covering the latest new developments in history and archaeology from Britain and around the world, the latest, most thought provoking historical research and strong links with TV and radio programming maximizing use of BBC’s existing expertise in the genre. 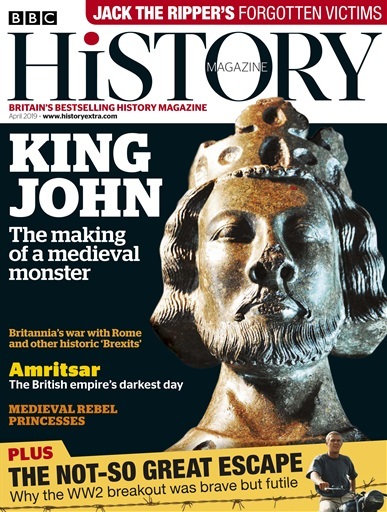 Looking for BBC History Magazine in print? Unfortunately pocketmags.com does not sell print copies of BBC History Magazine, but all is not lost. Our partner at magazine.co.uk sells print subscriptions at the best prices online. 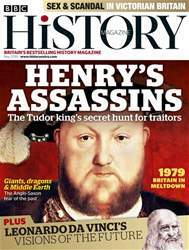 BBC History Magazine is Britain’s bestselling history magazine devoted to history enthusiasts of all levels of knowledge and interest. Published 13 times a year, BBC History Magazine brings history to life with informative, lively and entertaining features written by the world’s leading historians and journalists. Whether it is the history of our politics and institutions, or the fascinating stories of our private lives through the ages, BBC History Magazine sheds new light on the past and helps make more sense of today’s world. You'll receive 13 issues during a 1 year BBC History Magazine magazine subscription. A good quality history magazine, my only grip is they are prone to being too politically correct in some of their articles. A good quality history magazine that never disappoints. I love it, together with the pod cast. You'll receive 13 issues during a 1 year BBC History Magazine magazine print subscription.